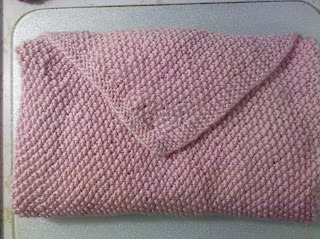 I had a new little niece that was on the way and I decided I was going to make her a baby blanket. I thought her older sister may get jealous of the gift arriving and not being for her so I wanted to knit a small purse for her as well, since she loves bags and purses. 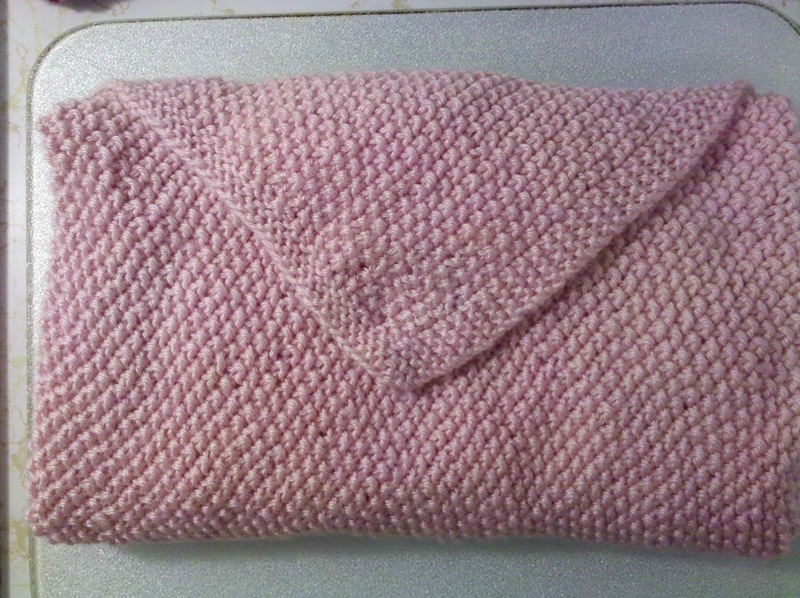 Here is the 27"x27" blanket I knit for the new baby, and a small purse I knit for her big sister. I did a seed stitch on both, which was a new stitch for me. 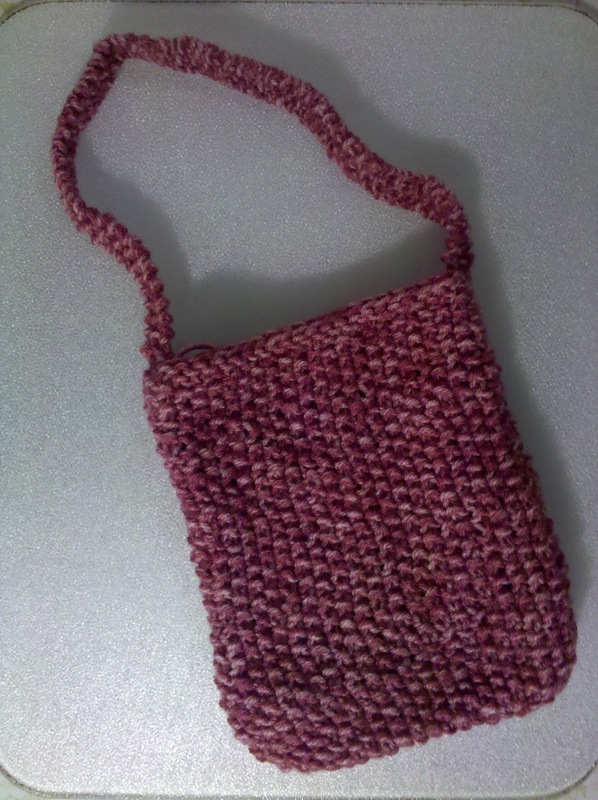 I decided to do the purse first, figuring the pattern in the yarn would hide any mistakes better while I was still getting a feel for the stitch. 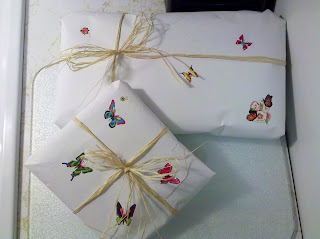 A broken arm kept me from finishing it before my new niece was born, but I'm excited for her to finally receive it! These look so great! Congratulations on finishing them Karen.